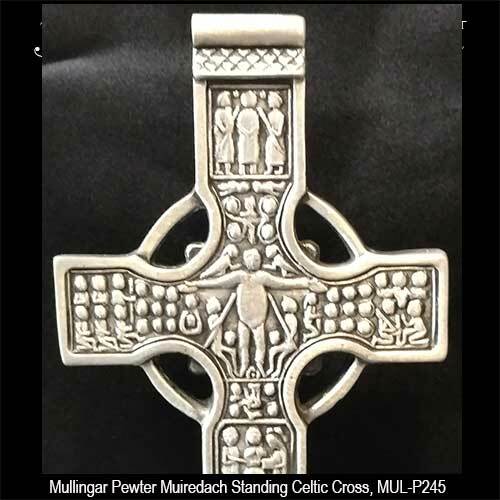 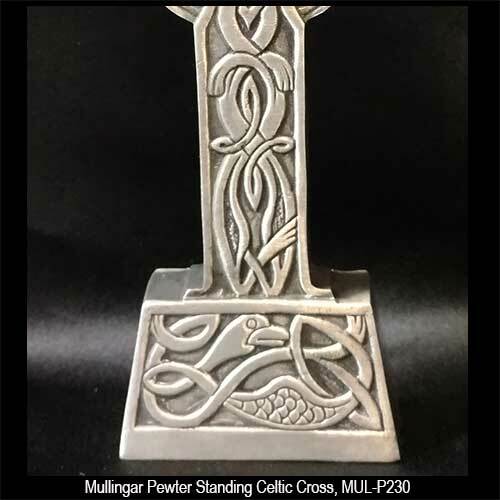 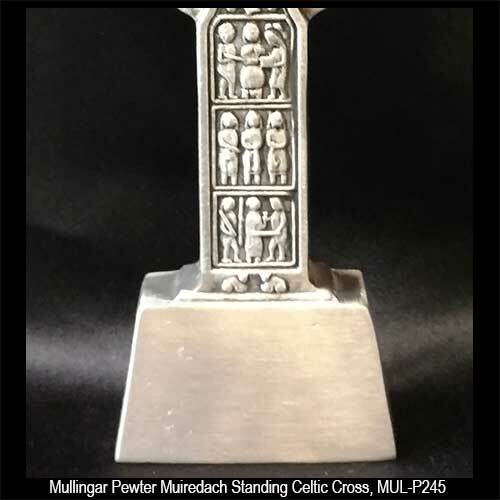 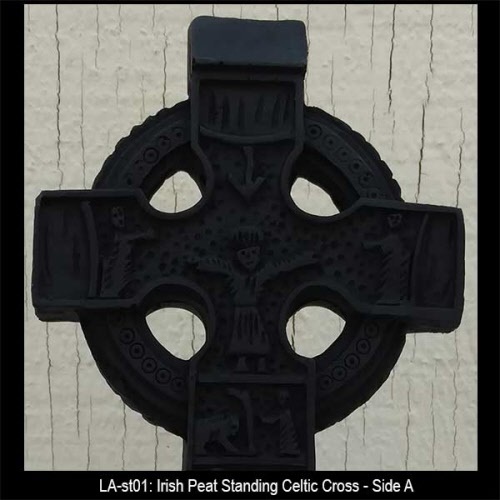 Standing Celtic crosses are constructed from a wide range of materials that includes crystal and pewter. 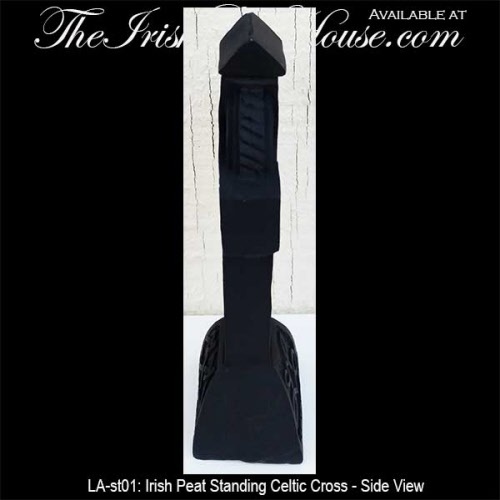 These standing Celtic crosses range in size from large sculptures for the garden to miniature pieces. 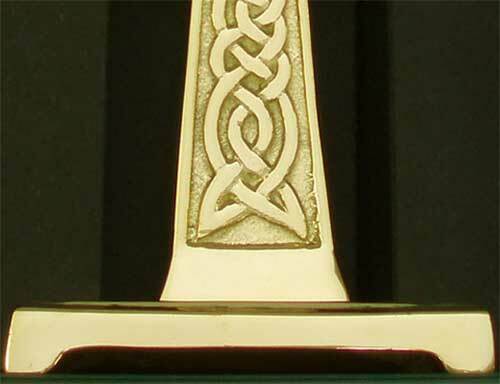 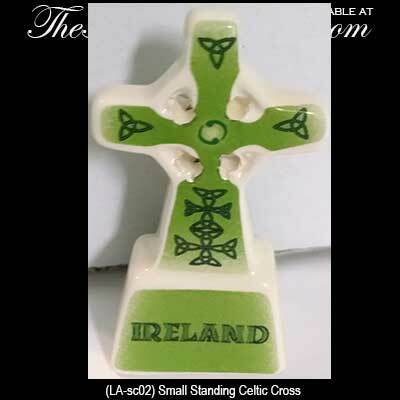 A standing Celtic cross from The Irish Gift House will make a considerate remembrance gift and one is also ideal for First Holy Communion and weddings. 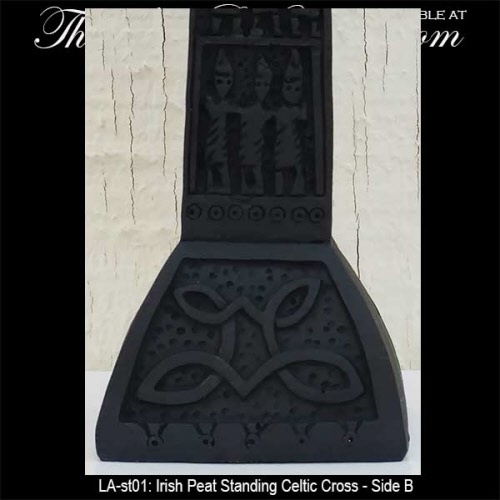 Additionally, a table top Celtic cross with Celtic knots or shamrocks is very fashionable for the home. 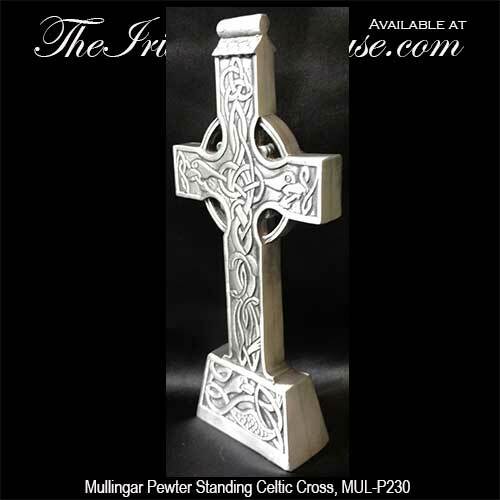 Standing Celtic cross for your Irish garden is a large design that is enhanced with a double-sided knot-work motif. 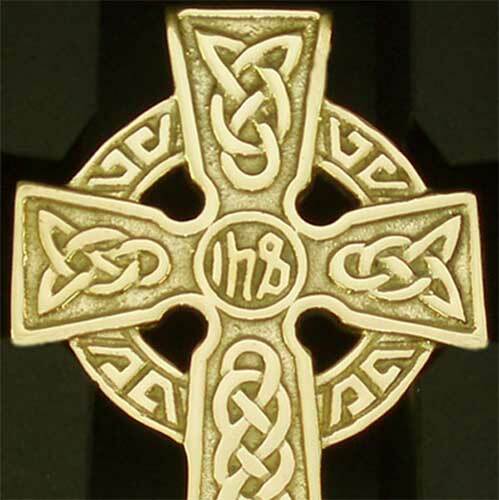 Standing Celtic cross is a solid brass design that is enhanced with knot-work along with the Greek monogram symbol for Jesus Christ in the center. 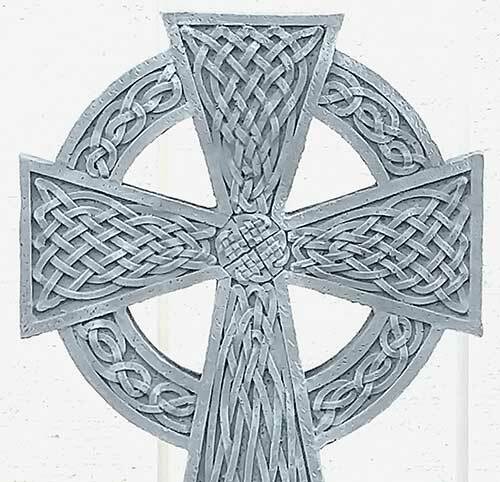 Irish garden statue features a standing Celtic cross along an angel and is enhanced with shamrocks along with knot-work and a blessing. 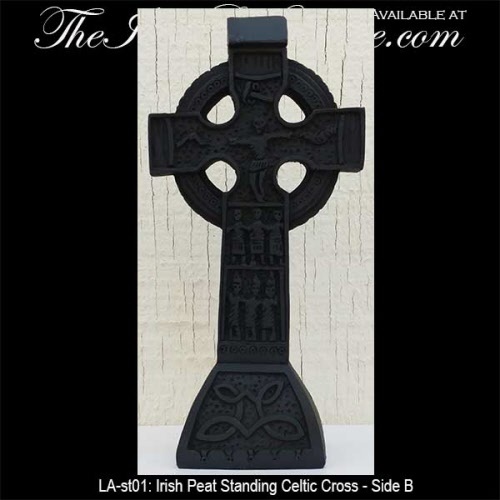 Due to the weight and size, this Irish garden gift ships separately and ONLY by ground freight. 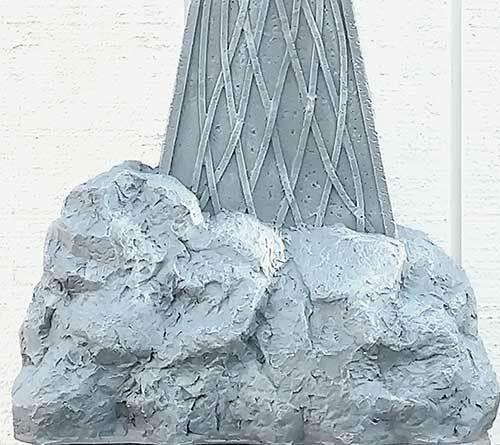 Typical delivery is 5 - 7 days. 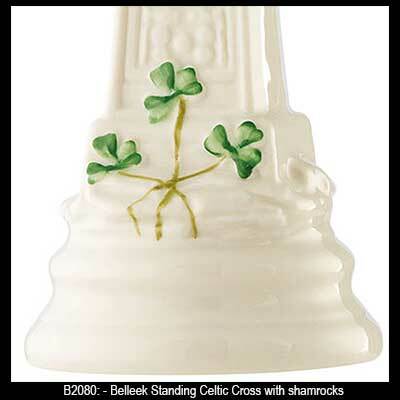 Sorry, the Irish garden angel is temporarily sold out. 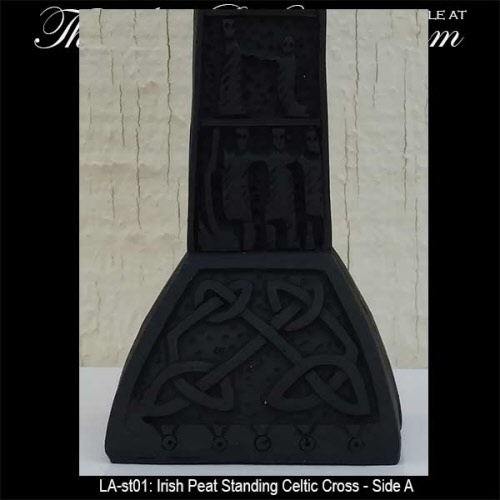 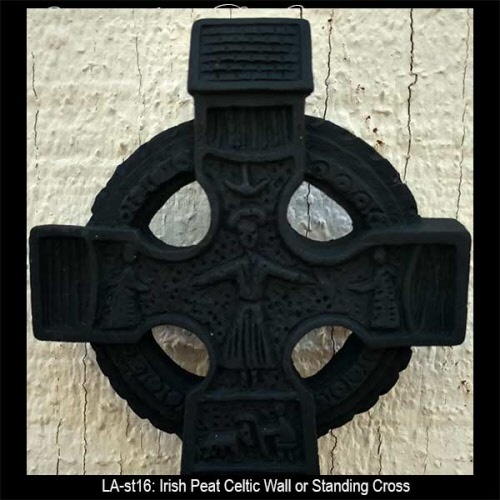 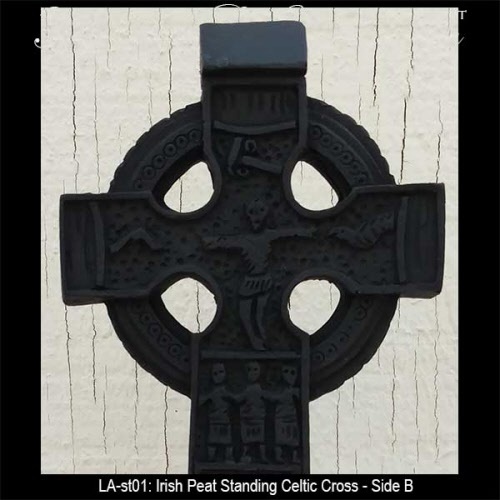 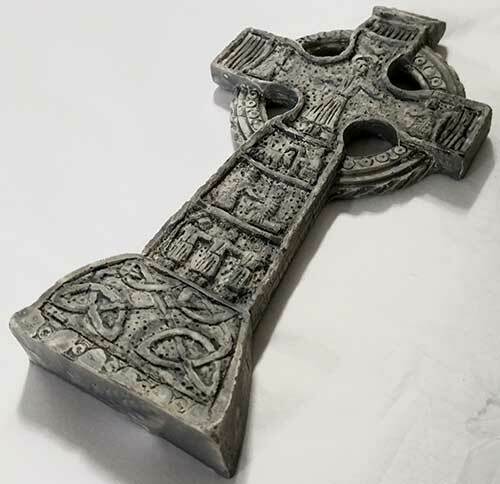 Large Celtic cross is a ceramic design that has a pedestal for standing. 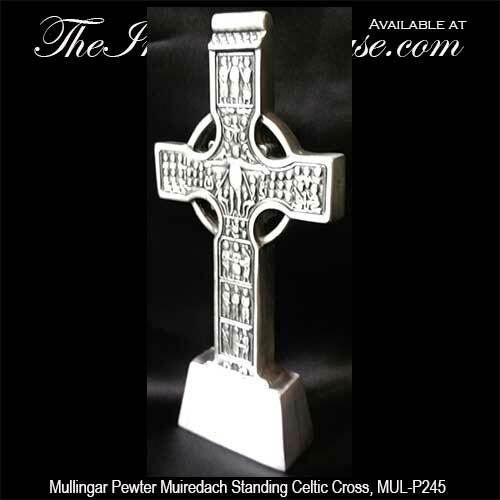 Please take a look at our Celtic wall crosses for additional gift ideas for just about any occasion. 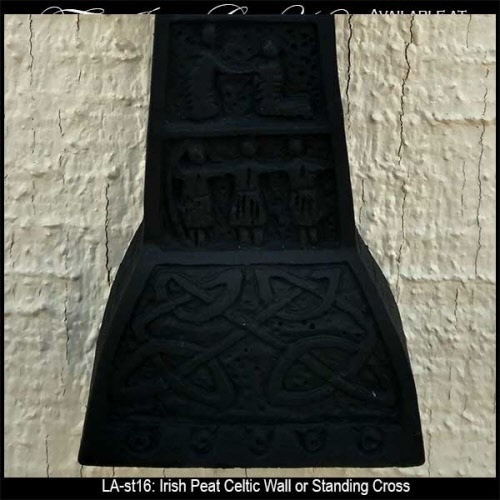 You may also wish to look at our Irish Blessing Plaques page where you will find additional inspirational Irish gift ideas from The Irish Gift House. 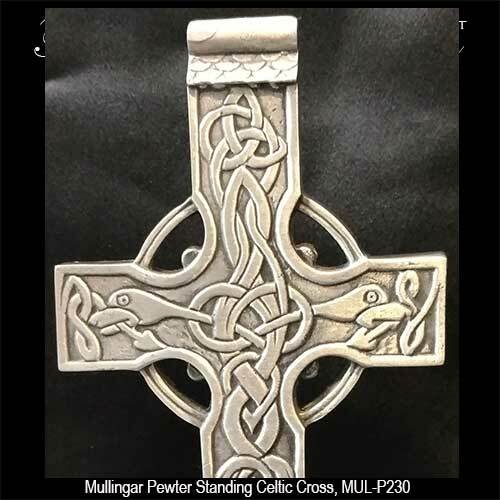 If you are looking for related jewelry, please consider the gold Celtic cross necklaces and the stainless steel Celtic cross pendants from among our several related categories; however, don't miss browsing the sterling silver Celtic cross necklaces where we feature an abundance of feminine designs.